St Martin in the Bull Ring » How Far Did He Go! How Far Did He Go! 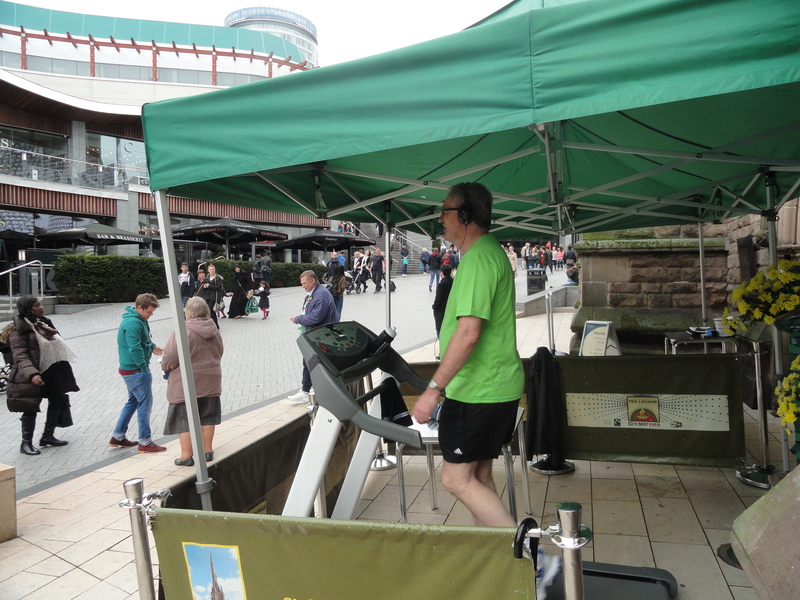 On Saturday 19th October, the Rector, Stewart Jones, undertook a Stationary Sponsored Walk – walking from 10.00 to 16:00 hours on a treadmill, outside the Church doors. Funds were raised by sponsorship, competition entries (guess how far he would go) and donations. So far, £2,100 has been raised, although further sponsorship monies are still to be collected. 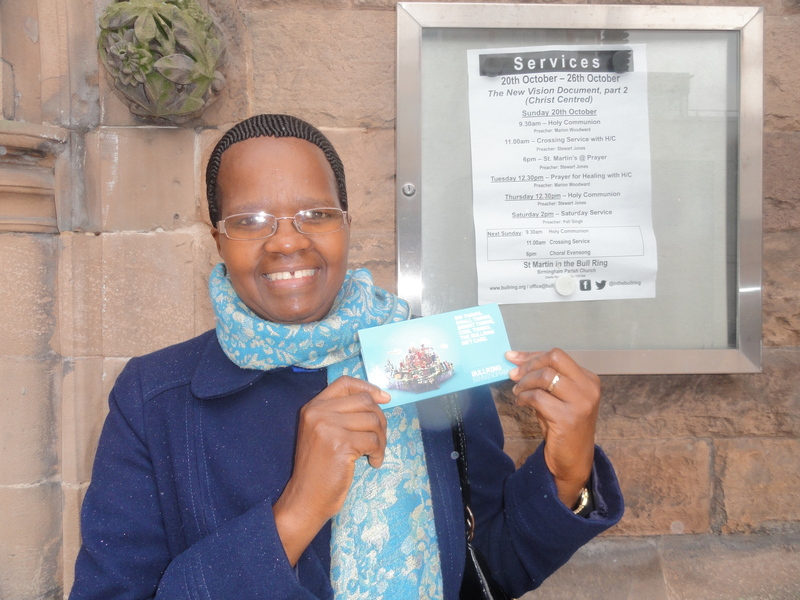 The competition was won by Serephine Nyiramimani, who is shown receiving the £100 BULLRING gift card. To view more pictures of the day please visit our Dropbox page.